On Babson College Week: Do you think of a product’s end of life when buying it? Lauren Beitelspacher, assistant professor in the marketing division at Babson College, looks into how people think about the environmental impact of products they buy. Lauren Skinner Beitelspacher (Ph.D., University of Alabama) is an Associate Professor in the Marketing Division at Babson College. Her research interests include: b​uyer-supplier relationships, retail management, and the retail supply chain. Her work has been published in numerous scholarly journals including: Journal of Marketing, Journal of Applied Psychology, Journal of Retailing, Journal of the Academy of Marketing Science, Journal of Business Research, and Industrial Marketing Management. She has also presented her work at numerous conferences and won several best paper in track awards at the American Marketing Association, Society for Marketing Advances and Academy of Marketing Science conferences. Her research concentrates specifically on the relationships with retailers and manufacturers. Whenever possible, her research focuses in the athletic, outdoor, and sporting goods industry. Lauren is very involved in pedagogical contributions for principles of marketing and retail management. Lauren is also actively involved in the marketing community. 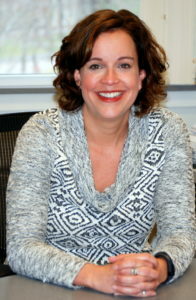 She is the co-chair of Retail and Pricing Special Interest Group for the American Marketing Association. In her free time, Lauren enjoys spending time with her husband and daughters. According to a 2017 study by Unilever, 33% of customers are now choosing products they believe are doing social and environmental good. When consumers engage in socially responsible behaviors, such as recycling, reduced consumption, or buying sustainable products, they can force significant environmental changes. Consumption research shows that consumers prefer to purchase products that are reflective of their identities or desired self. By purchasing certain types of products, consumers are signaling their values and identities to others. Marketing green products is easy to communicate to stakeholders and can enhance a firm’s “environmental image”. Given that the production and distribution of eco-friendly products enables firms to meet environmental demands of industry and consumers, build competitive advantage, and optimize future growth, the development of sustainable products is expected to grow in importance in the future. While quite a bit of research has focused on sustainable consumption, there is a gap in the literature between understanding intent of disposal at the initial purchase. In other words, is the consumer thinking about the disposal of a product when he/she purchases the product? End-of-Life (EOL) signifies the last stages of a product’s life cycle. Consumers rarely consider how a product’s life will end when they are only beginning to engage with the product. However, EOL has serious sustainability consequences as the wrong disposal could have detrimental effects on the environment. The first step in this research was to determine the value difference customers place on products whose stories are centered on being repurposed or made from recycled materials versus products with an EOL strategy. Using experiments, we determined that customers are willing to spend 17% more for a product that has recycled materials vs. if it has an end of life plan. The next step in the research is to begin to adapt the stories and language to change the value proposition so that customers are willing to pay more for products with end of life strategies. This begins with finding ways to link the customer’s identity with this new value proposition.